The occasion was the Global Ethics Summit, an annual conference presented by Scottsdale, Arizona-based Ethisphere Institute. Whether in sessions about diversity and inclusion, mergers and acquisitions, or big data, it became clear that protecting the brand is a shared responsibility. “Companies are no longer just happy to be out of the news,” said Erica Salmon Byrne, executive vice president of Ethisphere in an interview about the intersection of corporate compliance and communications. Byrne pointed to collaborative research done by her team and the Public Relations Society of America (PRSA) demonstrating the value of communicating – both internally and externally – an organization’s commitment to ethics. That’s music to our ears at 3BL Media, where clients use our platform to share their goals and achievements on everything ESG – environmental, social and governance. State Street Global Advisors earned accolades for rolling out new guidelines to push the more than 3,000 public companies in which it invests to increase the number of women on their boards. 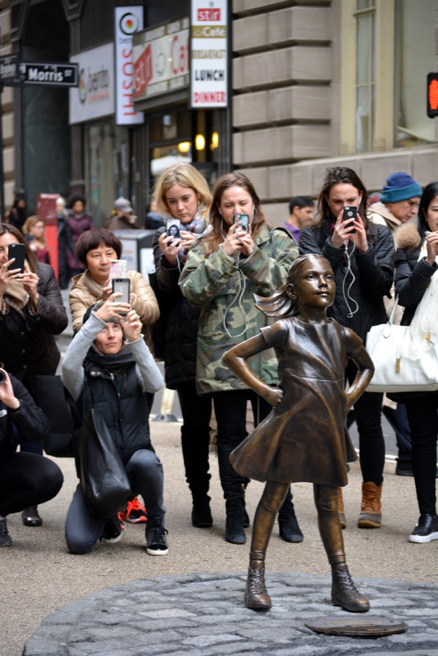 A bronze statue of a girl facing down the famed Wall Street bull called attention to the asset manager’s action on International Women’s Day. Visa General Counsel Kelly Mahon Tullier acknowledged the two industries her company straddles, financial services and technology, have not historically received high marks for employee diversity and inclusion. That has changed and is driving new thinking and growth. “The research shows the most innovative teams are the most diverse teams.” Here’s an interview Mahon Tullier did on the topic during a Bloomberg event. Storytelling, another tried and true tactic for those in corporate communications, is working effectively for both Boeing and Dell as they remind employees to place integrity and ethics ahead of simply getting deals done. “Customers care not just about what we sell but how we act,” said Dell Chief Ethics and Compliance Officer Michael McLaughlin, whose emails titled “Don’t Let This Happen To You,” have a high open rate. Gamification works at Boeing, which created custom Jeopardy questions concerning corporate ethics at a recent Aerospace Industry Association conference, said Diana Sands, senior vice president of internal governance and administration at Boeing. Recognition in respected rankings can have tangible business benefits. Companies on the list of most ethical companies saw a 6.4 percent rise in share price, said Ethisphere’s Salmon Byrne.